In 2012, Fuman Art together with Lamborghini and Air France KLM invited Argentinian artist – Gustavo Charif, to Kuala Lumpur for the Lamborghini Aventador art project. Gustavo Charif painted a portrait of Lamborghini Aventador and Fuman Art auctioned the masterpiece at Henry Butcher’s Art Auction 2012. 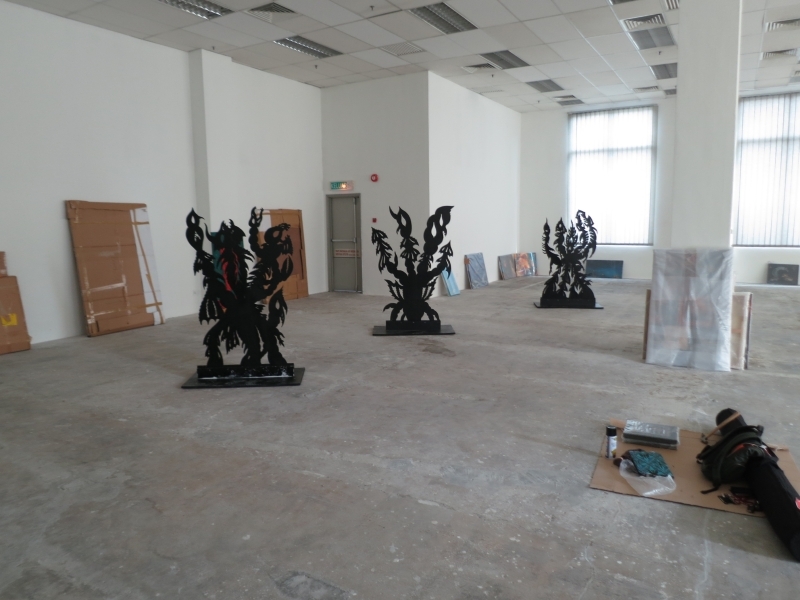 The proceeds of the auction are to be used to create a knowledge hub on Latin American art at the Balai Seni Visual Negara (BSVN). After 5 days, everything is packed again, some artworks are going to new homes and others will still be waiting for a wall to adopt them. We are all tired but happy with those few days of meeting and sharing our passion with the Parisian crowd. The young Filipino artist we represent, Omar Ramos known as Whooop was even distinguished as one of the few selected artists for the Arte/Cutlog prize by a prestigious jury composed of Fabrice Bousteau, manager of Beaux Arts magazine, Bertrand Lavier, artist, Mark Alizart, LVMH, Sydney Picasso, writer and collector, Chantal Thomass, designer, Eugène Riconneaus, shoe-designer, Zhenchen Liu, artist, Barbara Carlotti, Singer, Angélique Oussedik, ARTE cultural affairs. Thank you to them. 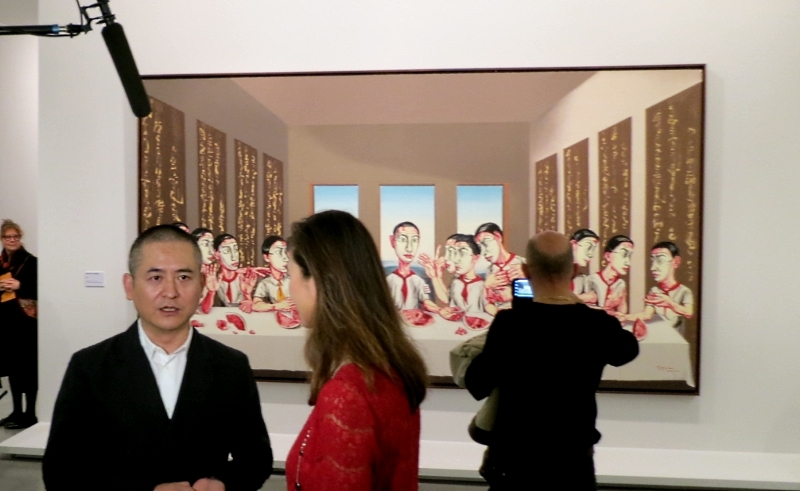 Today, we were invited to the opening of the new Zeng Fanzhi exhibition at the Musée d’Art Moderne of Paris. We had the pleasure of getting introduce and talking with this outstanding artist. The exhibition shows very different works from the very beginning to the most recent ones among them the famous painting “The last supper” which was sold by Sothebys in Honk Kong recently for 23.3 millions US$. 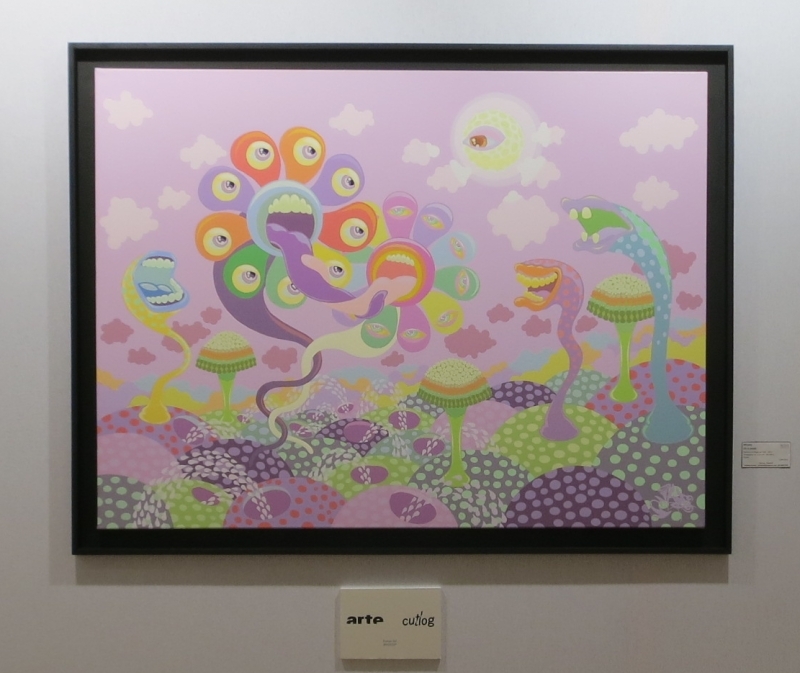 Fuman Art will be partipating at CUT LOG 2013, booth A7. 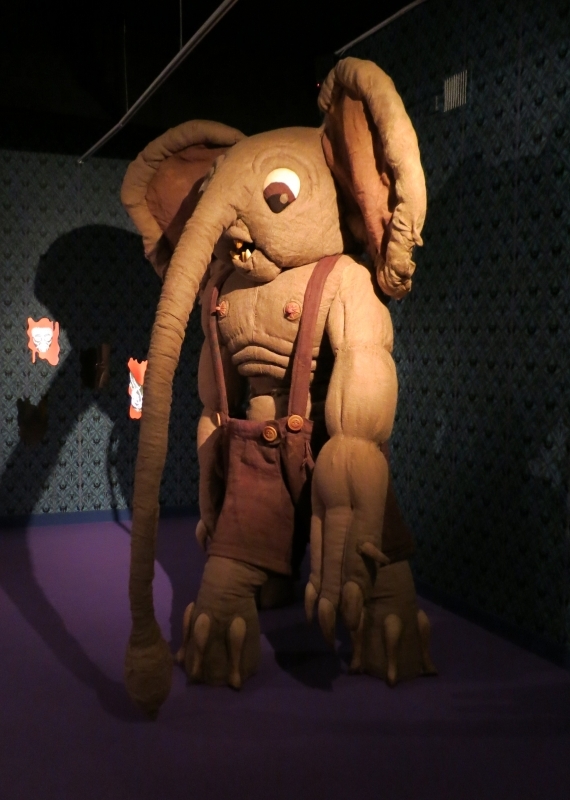 We will be showing fine works by Stéphane Blanquet, Gustavo Charif and Whooop. We will also be exhibiting for the first time in France, the sculpture by Blanquet, Black Mamba. Our new showroom in Malaysia, In Glenmarie – Shah Alam, a 20-minute drive from the center of Kuala Lumpur just beside the famous Glenmarie golf club. We have nearly 5,000 square feets ( or 500 square meters).